This multiple-scale mat comes without printed woods, roads and streams. It provides maximum flexibility to the gamer who wants to use their own roads and other terrain pieces. It will work with any popular gaming scale!This was one of our biggest customer requests....and we have listened! 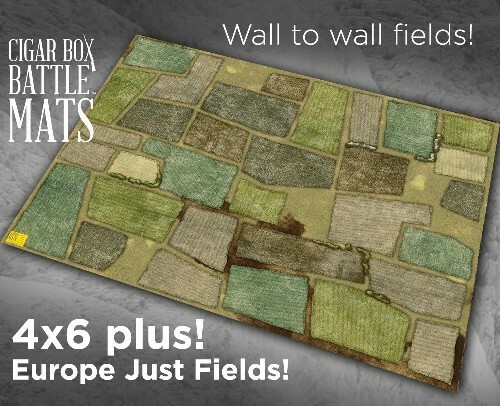 This mat has been extremely popular with gamers playing: Bolt Action, Flames of War, Ancients, ECW, ACW, AWI, Marlburian, Napoleonics, etc. What will you use it for?